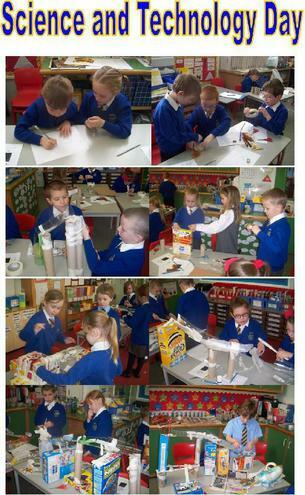 Year 2's challenge was to design a slide for an egg to go down to land in a nest. The longest time to travel down the slide was the winner. Everyone had a chance to test their designs - some were more successful than others! The winner took 2.47 seconds to come down the slide and land in the nest.